Lars von Trier was the wunderkind of European cinema in the 1990s, a guiding light of the Dogme 95 movement, and a filmmaker who, more than any of his peers, divided critics and spectators. In keeping with Dogme principles, "The Idiots "(1998) was shot with a handheld camera, without ornamental music, and on real locations. Set in a commune, the film sparked great controversy for showing a group of young people in search of their "inner idiots." As well as being a Dogme film, "The Idiots "is quintessential von Trier and, in John Rockwell's view, perhaps his most powerful work. It forms a trilogy with "Breaking the Waves "(1996) and "Dancer in the Dark "(2000). 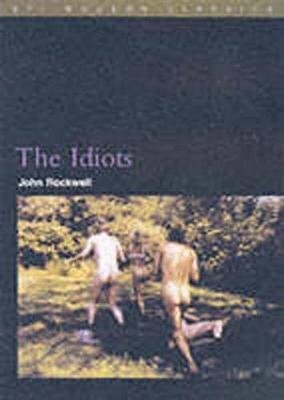 Rockwell shows how "The Idiots "relates to the other two films in addition to von Trier's celebrated early work in Danish television and his foray into directing Wagner's "Ring "cycle at the Bayreuth Festival.